Freshness counts, especially when it comes to beer, so the closer to the brewery, the fresher the beer. 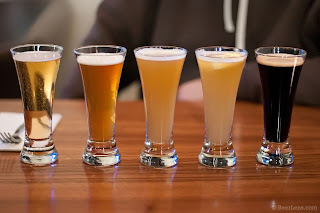 That’s why I love brewpubs, who brew their own beer on the premises, and microbreweries, which locally produce a limited amount of craft or specialty beers. Before large commercial breweries, beer was produced in the establishment in which it was sold. Alewives would brew it up and put out signs (called “ale-wands”or “hop poles”) to let the drunks know that beer was ready to be consumed (never say “drink”… sorry, old “quarters” rules flashback). In 1982 the first brewpub in the United States, Grant’s Brewery Pub in Yakima, Washington, was opened, signaling the return of the old American brewery tavern. 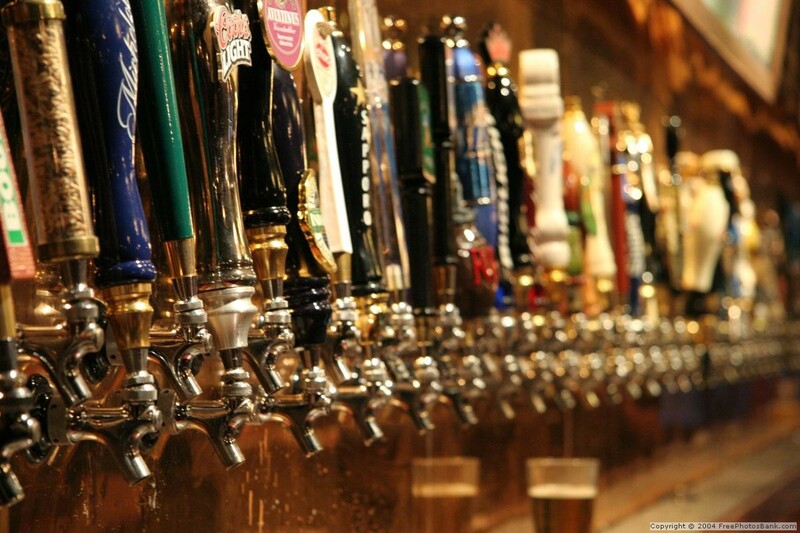 By 2006 there were almost 1,400 craft breweries, microbreweries, and brewpubs in the U.S. In the ‘90s Texas finally caught on and The Waterloo Brewing Company, in Austin, became the first Texas brewpub. The current T.A.B.C. brewpub license allows its holder to brew malt liquor, ale, and beer for a total production not to exceed 5,000 barrels annually, for each licensed location. One of my favorite things about BP’s is that I can get specialty beers that I can’t get anywhere else… yet. 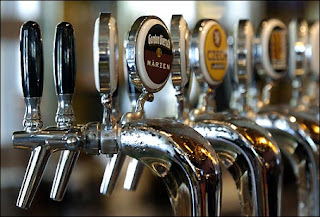 There is currently a bill in the Texas State Senate that would allow brewpubs to sell beer off site, meaning that you could go pick up some Gordon Biersch, or Humperdink’s at the grocery store (like you can in California). 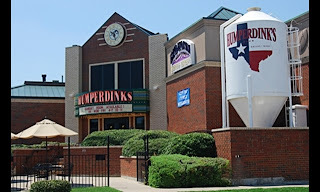 Humperdink’s opened its first location, on Greenville, in 1976. 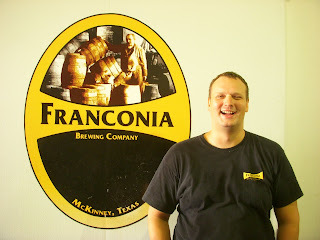 In 1995, the Arlington location began brewing their own beer. They have won numerous awards and now have five DFW locations. 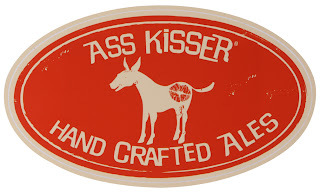 Try the Buttface Amber Ale (6.2%), the Big Red IPA (6.0%), or one of their seasonal or cask brews. Opening originally in May of 1995, Two Rows once had three Dallas area locations but now just the Allen store is open. Try the Barking Fish Porter, the Honey Blonde, or the Dark Star Lager. OK, so it’s a chain, but they still brew beer here at their Park Lane location. 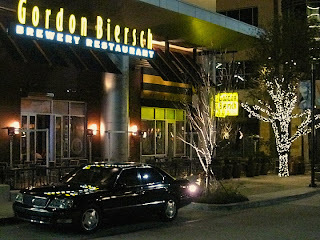 Started in 1988 in Palo Alto, CA, Gordon Biersch now has locations in 15 states. You can find them in Dallas and Plano. They have an extensive menu of well prepared foods and offer great artisanal cocktails and martinis. 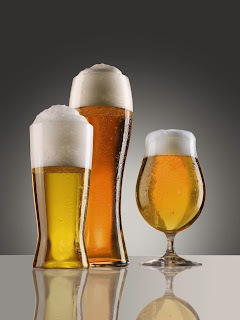 My favorite beers are the Märzen (pronounced Maert-zen), Czech Pilsner, or the Schwarzbier. A good happy hour and a GREAT bar staff! 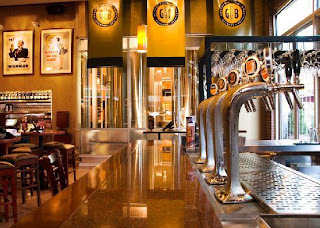 BJ’s Restaurant and Brewhouse - 4901 Belt Line Rd., Dallas, TX, 75254 Phone 972-392-4600 – Another chain with locations in 13 states (there are 7 DFW restaurants). 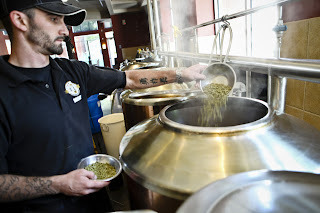 While most of their locations do not actually brew beer on site, they have a central brewing facility in Colorado that regularly ships fresh kegs to the restaurants. They routinely win medals at the Great American Beer Festival. 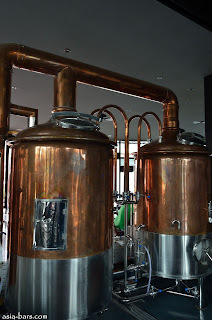 Most of the locations do brew their own root beer. The Piranha Pale Ale, the Nutty Brewnette, and the Tatonka Stout are certainly tasty. 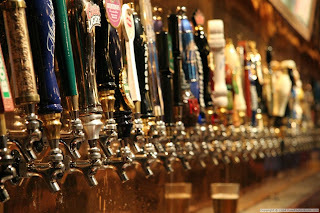 Just for “grits and shins,” here’s a small list of local or soon-to-be local microbreweries. Look for their products at a store or bar near you. Because after all, it is becoming a locally sourced world! Go green… or amber! Support your local economy by patronizing our local brewers and treat your taste buds to top-notch, world-class beers from one of DFW’s micro-breweries or brewpubs. Do it today! You’ll be glad you did. Why wasn't Deep Ellum Brewing Company in this article? They are closer to launch than any of the other "soon to be brewing" breweries (late September).